All the big dresden doilies blocks are done. I've got a little more work to do, like 25 small blocks and 16 medium blocks, I'm eager to see how my big blocks look with less red background fabric showing. I'm also still sticking with my plan of making the little blocks all out of lights and the medium blocks all out of darks. 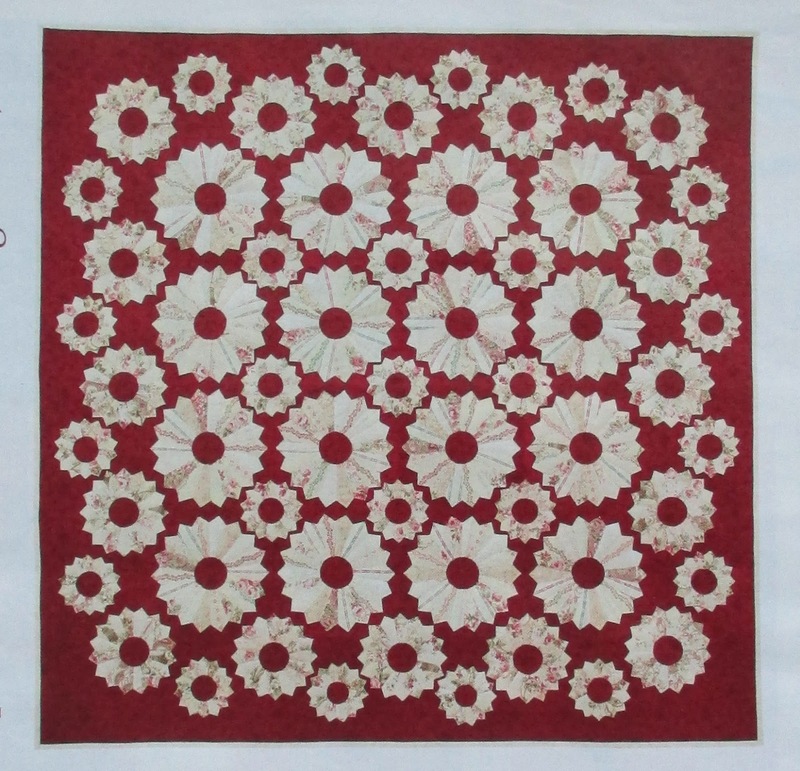 Just in case you've forgotten, this is the pattern I'm making, Dresden Doilies by Gerri Robinson. 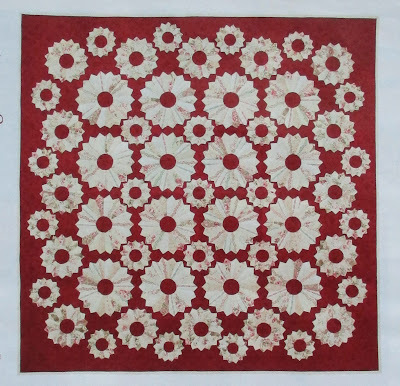 This pattern was in the September/October 2011 issue of McCall's Quilting. Have you missed chatting? I sure have, I'm going back to my normal blogging with comments routine on Monday, I look forward to hearing from you then!